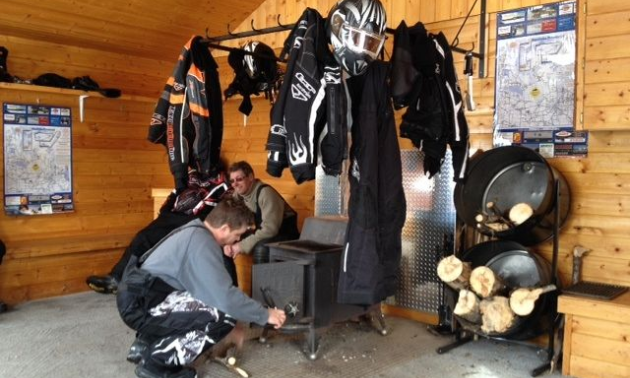 Snowmobiling has long been an activity that families enjoy. For many parents, going out for a ride offers many opportunities for parents to engage their kids about safety issues and to simply enjoy being in nature together. 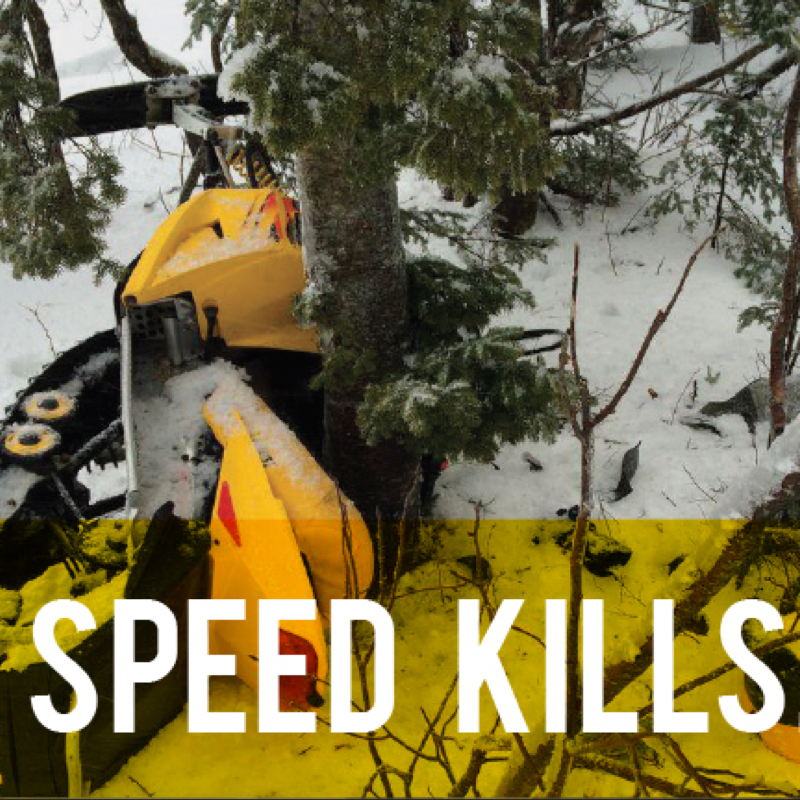 This is a big reason why Snoman (Snowmobilers of Manitoba) has rolled out its new Alcohol-Free Family Zone campaign for the 2016/2017 season. They’d like to ensure trails are safe for all riders, especially the younger ones. Yvonne Rideout, executive director of Snoman, said Snoman did receive some concerns that people were drinking in shelters and it’s always been Snoman’s policy that no one is allowed to drink and ride. The problem is a concern but not a big one and Snoman hopes to keep it that way. 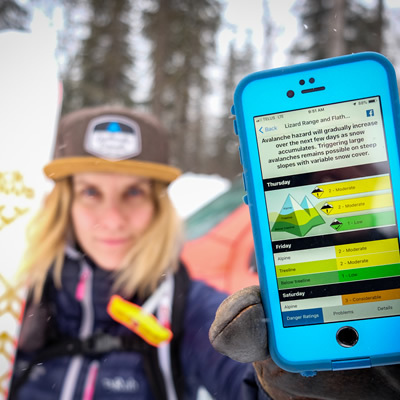 Rideout has been on the trails herself and has never seen a club member drinking in a shelter. She says it’s normally people who are not members of clubs. 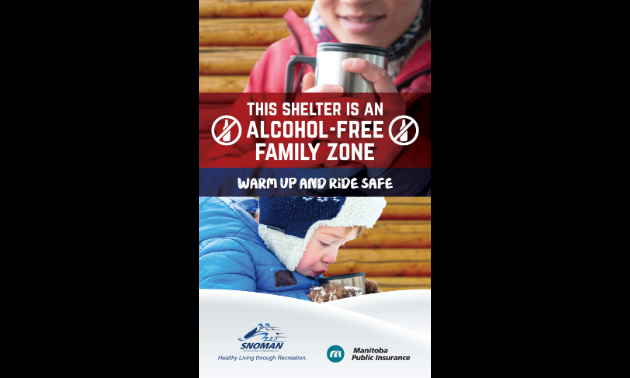 Alcohol-Free Family Zone posters will be placed in every shelter, over 150 of them, by snowmobile clubs. In addition to that, radio advertising will start in January. Snoman is also raising awareness via social media. The campaign is jointly funded by Snoman and Manitoba Public Insurance. Rideout said they’ve received an overwhelmingly positive response from the clubs regarding the campaign. 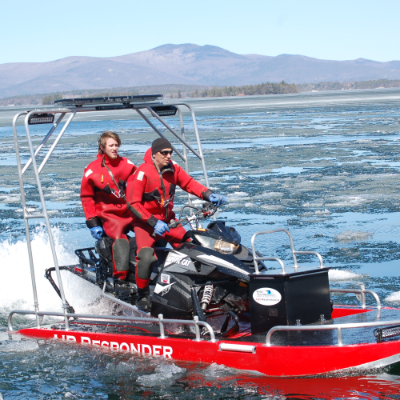 For more information, see Snoman’s press release here. The new campaign poster will be put up at over 150 shelters across Manitoba. Photo courtesy Snoman.